Policing isn’t as big a business as bail bonds yet, but that could soon change. It’s unclear what kind of revenue policing can bring in because until recently no one really thought that was the point of the exercise. But bail bonds are big business. They generate $2 billion in profits annually, and that number is climbing. 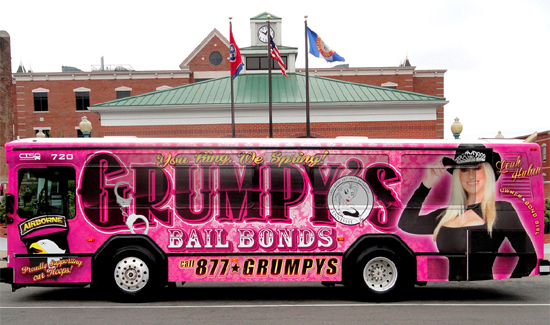 But bail bondsmen in Bradley County, Tennessee, aren’t very happy these days. That’s because Bradley County Sheriff Eric Watson’s wife, Tenille Watson, is now working as a bail bondsman. According to a report from the Times Free Press, bondsmen learned that Sheriff Watson took his wife along to a sobriety checkpoint in Charleston, Tennessee. She then wrote the single largest number of bonds from that weekend’s arrests. The bondsmen are crying foul. “I’ve got nothing against the sheriff’s wife at all, but it’s a conflict. All the booking agents will toss stuff to the sheriff’s wife as a favor,” said another established bondsman. Sheriff Watson says the couple have violated no laws and all this stuff is just a personal agenda, or maybe outside agitators trying to stir up the community. Watson’s a former member of the Tennessee House of Representatives. Referring to his service in the Tennessee House of Representatives, Watson said, “Politics is really different here on the local level than the state level—they go after your jugular down here,” Watson told reporters. In addition, a 2014 attorney general’s opinion says that the spouse of a law enforcement officer may not work as a bondsman under most circumstances because the publicly employed wife or husband could benefit from the spouse’s job. That opinion came after Knoxville-based bonding firm Sanford and Son hired a woman whose husband was an assistant at a small police department.